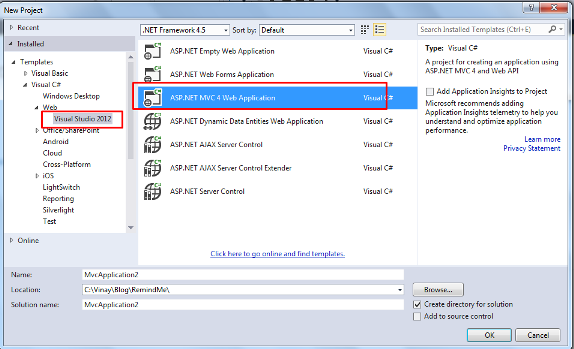 This article will show you how you can create a new ASP.NET MVC application through your visual studio application. 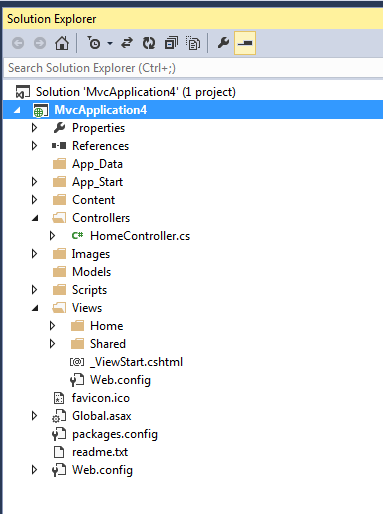 So for this first we will open our Microsoft visual studio. Now click on New Project. 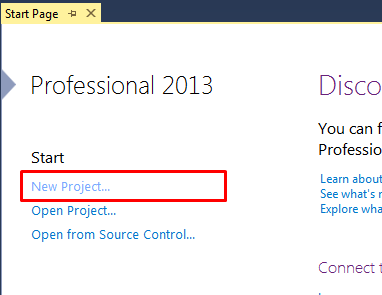 As you click on new project below mention screen will open. 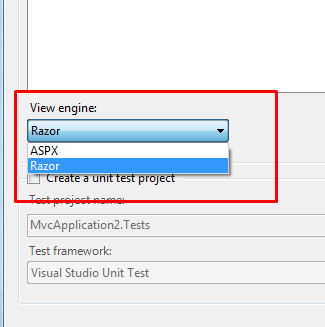 Now select MVC project, rename the project and click on ok button. After clicking on ok button below mention screen will open. 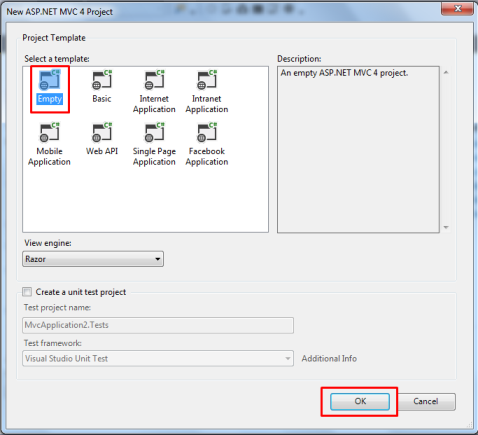 Now Here we are getting multiple options to create the project. Now select the Blank project if you are going to create your own application by selecting the application view engine. 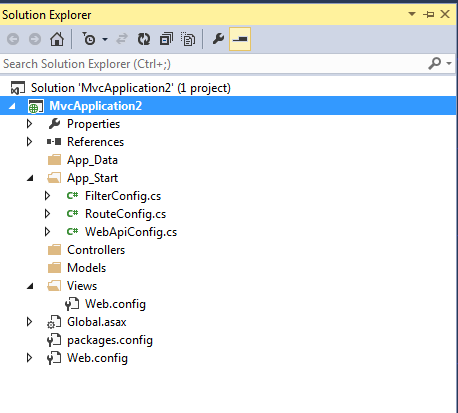 Now we have done check the solution explorer for your Empty application. Now check the difference. 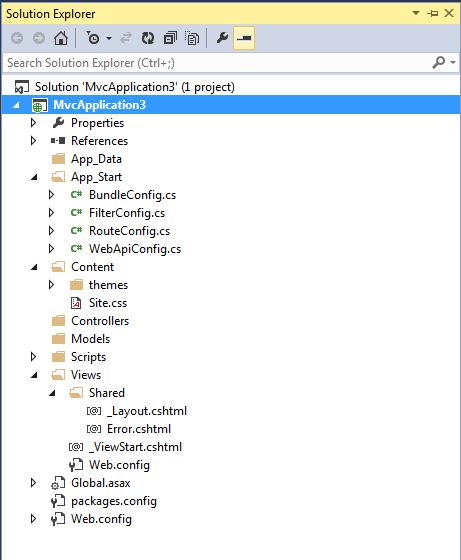 We have some more files in the solution explorer. Now check for Intranet application.